My name is Mario and I'm from British-Columbia. 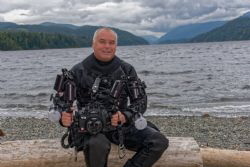 I'm a PADI MSDT instructor and an underwater photographer. I love to share with family and friends the underwater world and all the beauty.